The pre-poll surveys asked identical questions to voters in the two states and found that support for prohibition (total and phased) was high. Prohibition was a big issue in both Kerala and Tamil Nadu. In the latter state, where earnings from liquor sales fund several welfare policies, the DMK manifesto spoke of immediate, total prohibition, while Jayalalithaa promised it go about it step by step. Parties like the PMK and MDMK have long been demanding a total ban on liquor. In Kerala, the UDF restricted the sale of liquor to five-star hotels, and promised total prohibition within 10 years. The LDF manifesto promised a gradual reduction in the availability of liquor. 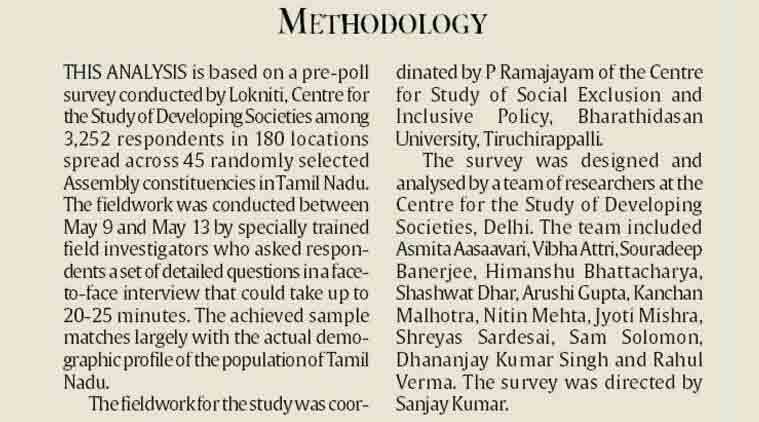 The Lokniti-CSDS pre-poll surveys asked identical questions to voters in the two states and found that support for prohibition (total and phased) was high — 82% in Tamil Nadu; 87% in Kerala. Most respondents in both states favoured outright prohibition to a phased one. 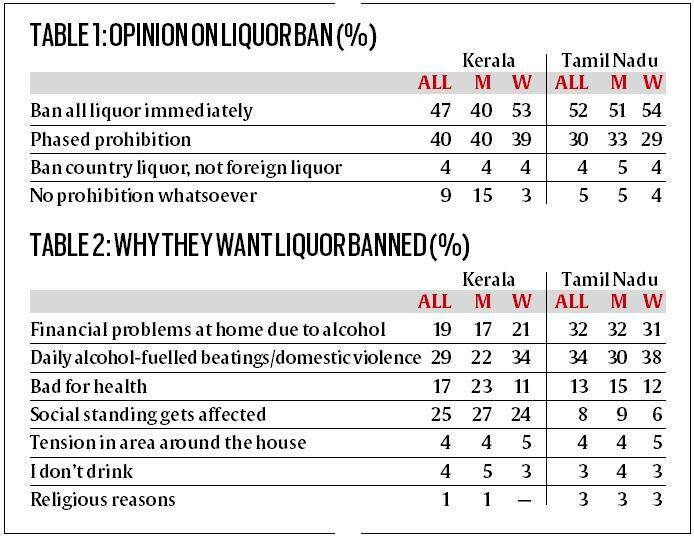 While in Tamil Nadu, the ratio of support for immediate to phased prohibition was 52:30, in Kerala it was 47:40. In both states, women were more keen than men on total and immediate prohibition; men were more keen than women on phased prohibition. In Kerala, men were five times more likely to be opposed to prohibition than women, 15 to 3. The fact that the UDF was neck and neck with the LDF among women voters (43-43) could be linked to this strong support for prohibition among women in the state. In Tamil Nadu, in spite of the DMK promising total prohibition, the AIADMK led among women in favour of total prohibition. However, this lead was less than the one the AIADMK enjoyed among women who said they preferred phased prohibition. Among them, the AIADMK led the DMK by 20 percentage points. The most important reason for supporting a liquor ban was domestic violence — reason reported by 38% women in Tamil Nadu and 34% in Kerala. In Tamil Nadu, economic problems (32%) was next most important; in Kerala, it was the effect drinking had on social standing.